Color Me Happy...: Guest Designer! Yippee Yahoo! I am so excited to share some news with you.....I was picked to be a guest designer over at My Sheri Craft's Blog. I won a challenge with this card to use the colors of yellow, black and white and the "prize" was a guest designer gig. Which has me tickled pink. So, the road to these two cards is kinda funny though.....I received the email from Sheri the day after I had finger surgery on my right hand index finger. Unfortunately after surgery found me with a dressing on my finger about the size and thickness of a sleeping bag! Yikes. And did I mention I am right handed......well, anyways, my cards were to be to Sheri by the third of August which, besides the finger issue I would also be leaving town on the 2nd for the weekend. Time to put my thinking/creating cap on and completely "make" the card in my head in order to be good to the minute my bandage was off and the stitches were out on July 31st! And, my assignment was "Back to School" which is an awfully cute assignment and one that shouldn't have been hard but still had me stumped initially. 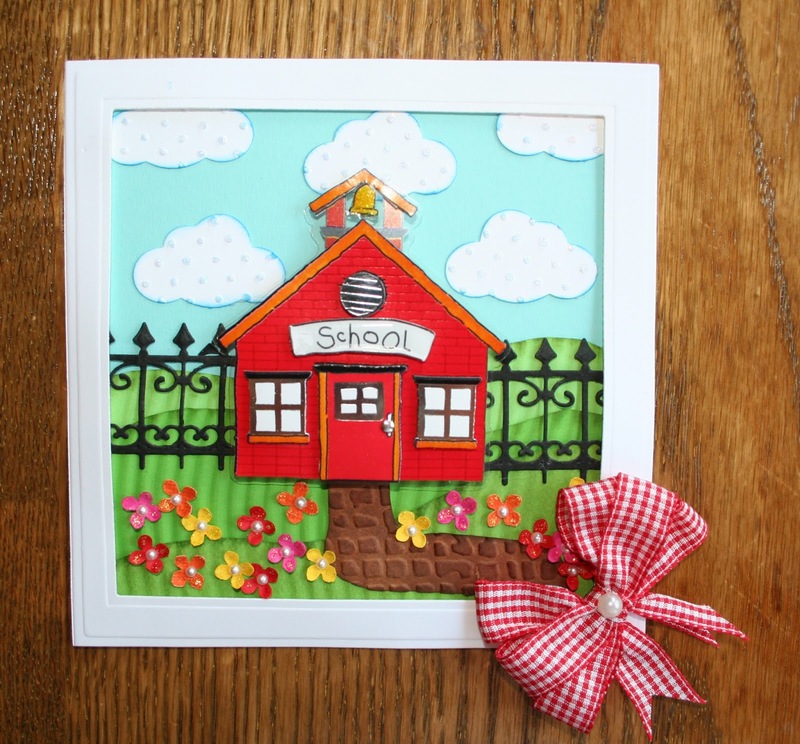 It is a fun idea but with one daughter graduated from college, another daughter halfway through her college career and our son beginning college this September cute little "Back to School" cards are pretty much a memory for me! But then I thought about my little lunch buddy who is 6 1/2 and realized she would be the perfect person to keep in mind when I got to the crafting table. I had several days to think and think and think and design and design and design these cards in my head before I was ever able to put hands (finger?) to paper! For whatever delusional reason I somehow thought that I would have full use of my hand when the stitches came out. Not the case. I found out within 2 seconds that my finger was not bending and not able to hold a marker.....grrrrrrr.....time to change up my decided upon plan. A quick trip to the store and voila! A few cute and cheap images that I could substitute for my previously chosen idea. I was able to keep the basic layout of the card and of course was able to use my Grand Caliber in order to die cut all the shapes and layers that I needed. I ended up with three cards....both heavy on the die cutting as that was what I could do but I am fairly happy with them for being cards that I made with a sore hand and short time period! And, I want to give a shout out to My Sheri's Craft's Challenge Blog..please check it out. You won't be disappointed! There are really fun challenges and the inspiration examples are always gorgeous! Anyways, here are my cards with a "Back to School" theme. I am not sure which card sweet Sheri will choose so I have included all three here in my post. I have a few other images that came on the sheets I bought so I will make several more for my little lunch buddy and send her them every few days through out August. This will be a great way for her to get excited for the upcoming school year. I want to apologise ahead of time for any weird or odd errors in the posting. I am out of town at a place where the internet is spotty at best and non existent most of the time. I will just sign off now with a BIG THANKS to Sheri and ll the ladies over at My Sheri Crafts and to all of you for wading through this super long post. Congrats! Cute cards. Hope your finger is soon healed! Take care. AWESOME cards!! I totally love the bus card- now THAT is adorable!! Hope your finger gets out of that blob of bandages real soon and the hand gets back to working order! I can't see you not coloring for very long!! Congrats on being Guest Designer at My Sheri Crafts! I am happy all your cards are in the post! Love each one! You did a great job! Sorry to hear about the surgery. I hope your finger heals quickly! I just love each and every card you made for My Sheri Crafts! 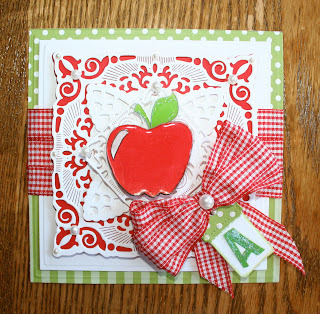 The ribbon and bows are a wonderful addition on the cards! I am glad you joined us as GD at My Sheri Crafts! :)Hope the use of your finger comes back quickly for you! Wow, I love each and every card! 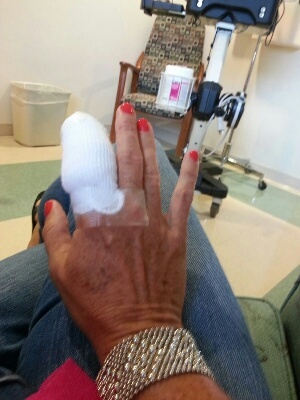 And all that beauty after finger surgery, too...WOW! You certainly deserve the guest designer spot...congrats! All three are delightful but the third one with the apple really took my fancy. Hope the finger is better Sheila. What a HUGE bandage! Your cards are absolutely fabulous! I love each and every one of them! 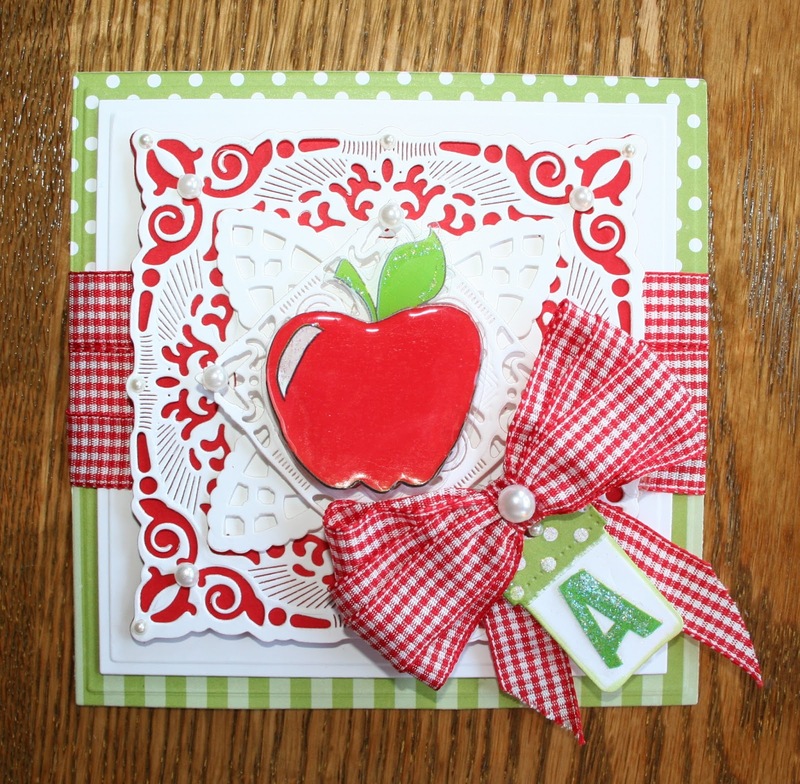 What a FUN post and THREE fabulous back-to-school cards you created in spite of your sore index finger -- WOW! 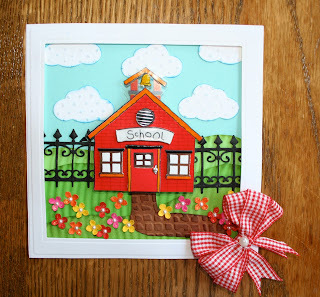 Thanks so much for sharing your talent with us by Guest Designing @ My Sheri Crafts for our biweekly challenge, Sheila!!! I know your little lunch buddy will really enjoy the handmade beauties she'll be receiving this month and your sweet thoughtfulness. Big congrats, Sheila! Hope your finger is completely healed now & that you're enjoying your time out of town. I love all your cards--especially the first one--just darling! I am so glad you are our guest designer this time around, so sorry to hear about your finger I do hope it is much better now. Loved to read your blog before you posted the photo's. As the others have said your 3 cards are just wonderful, love all the bright colours you have used. Congratulations on being guest designer for My Sheri Crafts! Your creations are amazing! I can't believe you created three separate projects for this theme and they are all gorgeous!